Brightmix » Blog Archive » Congrats to Erin #2!! 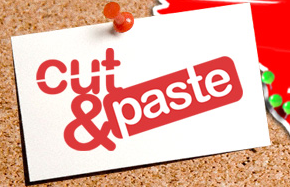 As was mentioned in a previous post, and many times on Twitter, our very own Erin #2 (aka Erin Standley aka Urn aka Tinyxl) traveled to New York City this weekend to compete in the Global Cut & Paste Design Competition! We were so excited for her, that we decided to throw a party to watch the live stream and watch the show. 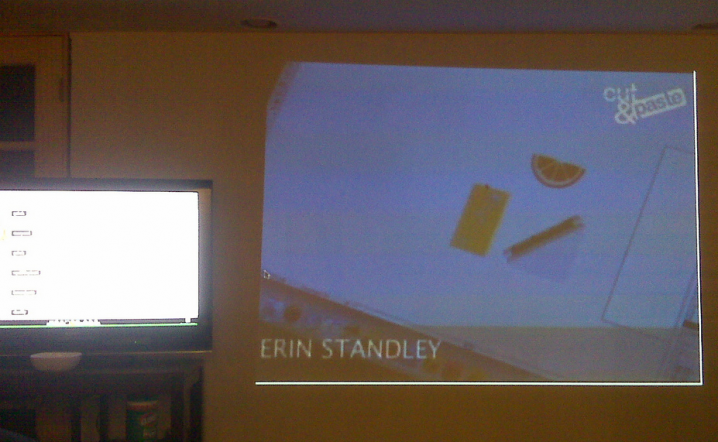 HUGE congrats to Erin for making it all the way to NYC, we’re suuuuuper proud of her! And though the judges may not have thought her design was the winner, everyone in Omaha (and Alaska) certainly thought so! We made buttons (thanks GoodTwin for the designs!) !!! 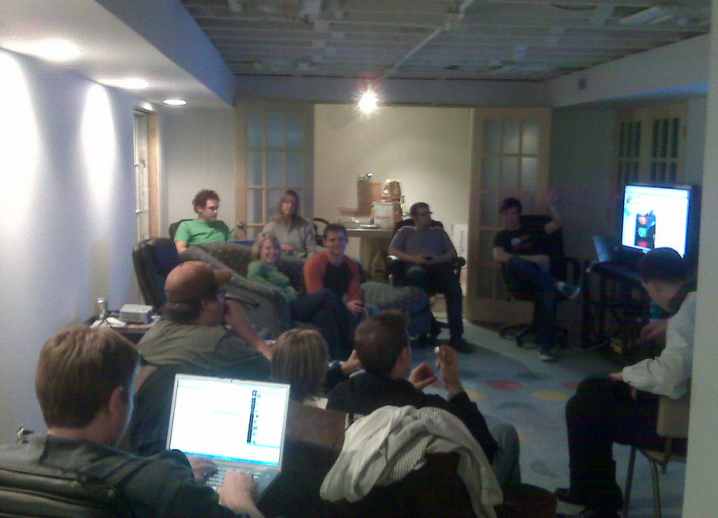 Everyone gathered ’round in our newly (almost) finished basement to watch the competition!